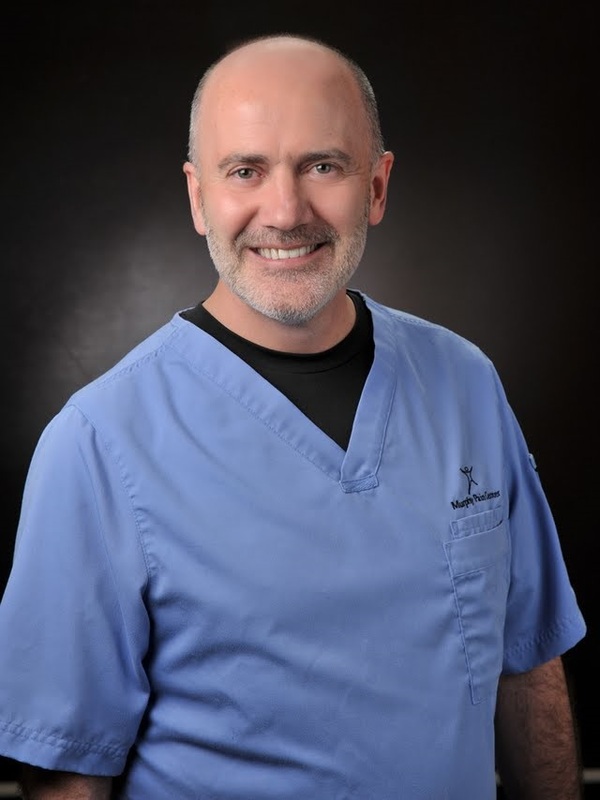 Dr. James Patrick Murphy is board-certified in Pain, Addiction, and Anesthesiology. He is President of The Greater Louisville Medical Society and the Course Director for OPIOID. Recently I was visited by a patient “warrior”. I hadn’t known her before, but she had read one of my articles online and wanted to meet me. I was touched. There in the foyer of our surgical center, she motored up in her electric scooter and smiled the genuine smile of a person seeing a long lost friend. Are there limits to friendship? No. Are there limits to prescribing opioids for pain? Maybe. At the vortex of misinformation swirling around pain regulations is the fact that no state has limited what physicians are allowed to prescribe, although some states make it unwieldy to treat legitimate pain patients compared to other states; some set unsubstantiated quantity limits while others require consultation to a pain specialist if a predetermined (yet not scientifically proven) “morphine equivalent dose is prescribed”. Nevertheless, no states unilaterally prohibit a prescription at any dose if the regulations are followed. However, requiring a pain specialist in some cases may become a logistical nightmare because in most instances there are not enough pain specialists to go around. To be sure they have created thresholds above which physicians are required to do certain obligatory actions like: drug screens, re-evaluations, treatment agreements, and database queries. But these requirements do not represent ceilings to what can be prescribed – as long as it is medically necessary. Are these regulatory obligations rational, reasonable, fair, or effective? That is a subject for another article. What is true now, however, is that prescribers are drowning. “OPIOID” is the acronym used in an upcoming seminar that aims to rescue prescribers from the regulatory maelstrom. “OPIOID” means Optimal Prescribing Is Our Inherent Duty. It is a seminar conceived by physicians, approved by Kentucky’s Medical Board, and produced by the Greater Louisville Medical Society in association with the University of Louisville – February 7 – 9, 2014. The goal of “OPIOID” is to empower prescribers to optimally care for suffering patients and adhere to the governing regulations. Clinicians and support staff can register by email: physician.education@glms.org or call: 502-736-6354 or visit online at https://www.glms.org/Home.aspx (and click on the “OPIOID” tab). My new friend, whose pain had confined her to her motorized chair, wasn’t quite convinced when I assured her that her state’s (Indiana) regulations did not limit what her doctor could prescribe. But in her friendly eyes I saw hope. And her hope gave me strength. Am I strong enough to climb over the barriers created by these regulations? Are you? As long as there are patients willing to fight the good fight, then so will I. And courses like “OPIOID” provide us the tools we need to win. Together, the possibilities are limitless. Please tell a friend about “OPIOID” and feel free to comment on this blog! James Patrick Murphy, MD, MMM attended medical school at the University of Louisville, interned in Psychiatry at the San Diego Naval Hospital, studied at the Naval Aerospace Medical Institute, and later served as a Naval Flight Surgeon onboard the aircraft carrier U.S.S. Enterprise. He returned to Louisville in 1989 for residency training in Anesthesiology after which he completed a Pain Medicine Fellowship at the Mayo Clinic in Rochester, MN. Dr. Murphy is Kentucky’s first physician to achieve combined board-certification in Pain Management and certification in Addiction Medicine. Dr. Murphy is President of the Greater Louisville Medical Society, Medical Director of Murphy Pain Center, Assistant Clinical Professor at the University of Louisville School of Medicine, and serves on the board of the International Association for Pain and Chemical Dependency. In May 2013 Dr. Murphy earned a Master of Medical Management degree from the University of Southern California Marshall School of Business. Dr. Murphy blogs at jamespmurphymd.com and can be followed on Twitter @jamespmurphymd. I am hoping you can help me. I’m currently have a Pain Specialist. I have arthritis in my spine, bursitis in both of my hips and also suffering from fibromyalgia. Before the pain specialist, I was in the methadone treatment center in Charlestown, IN. My insurance didn’t cover any of the cost. I paid $12.50 a day for 18 months. My question is can you prescribe methadone for pain. The pain specialist started me on 6 20 mg oxycodone and will decrease the dose by 10 mg a month. I have excruciating pain at times. I’m basically in pain 24/7. I need help. I don’t need psychological therapy. I need something that is not going to decrease every month. It’s crucial, I feel, to get this message out. I started my blog because my daughter almost died of a sudden onset of a never-seen-before hybrid of UC/Crohns. Instead of everyone concentrating on the real monster, the UC/ Crohns, everyone was arguing and dealing with the pain issue – orders not followed through, orders randomly changed and so forth, something which should never have been an issue. Much is known & understood about pain, pain management and even narcotics. Little is known about UC/Crohns. And we were at the # 2 place in the US for IBD. I, myself, have taken Demerol for over 20 years – for different problems – and have never felt high, never been addicted. The years I’ve had fewer health problems I’ve taken little Demerol. In bad years I pill counted because things were/are so bad. Luckily, I have a GP and rheumy who understand but boy are they the exception to the rule. In fact, they get upset that I wait too long to take pain meds. I’ve had quite a few ER visits in the past few months, disasters, unprofessional conduct, verging on malpractice. I’ve been hospitalized, too, often. But everything boils down to pain and pain management, coming all to close to ignoring the problems at hand. I recall a patient with incurable metastatic bladder cancer of the pelvic bones, incurable, and with pain that could not be controlled with 240 mg of morphine daily. She underwent a spinal tractotomy, and was pain free post op. The internist wondered how to ween her off the morphine without severe withdrawal, and decided to let her tell him when she needed a dose of morphine. Her reply was that she did not need morphine, since she could feel the pain no longer. She never did ask for another dose of morphine. Morphine directly counteracts pain centrally, and in this setting morphine is not addicting. I do not normally comment on these types of things, but after reading your blog, I felt compelled to respond. My mother, a practicing nurse practitioner, emailed this to me as we both are passionate about this issue and debate the legalities often. I am a pharmD student graduating in May and will soon be thrust into this world of chaos, up front and personal. From a pharmacy standpoint, this issue has confounded me from the very 1st pain lecture in graduate school. In the retail setting, it is abysmal to see the effects of such restrictions. Pharmacies literally spend 50% of their time dealing with whether or not a patient can have their pain meds or not. It is very disheartening to me. I was hoping to help patients achieve their proper medication needs, but it seems like the pharmacists’ job is to do just the opposite. Or, atleast, be the one who stands in the way. It is reassuring to read your blog, and hear that there are such caring practitioners dedicated to this issue. There is such a “stigmata” associated with pain management, and I just want patients to get the treatment they need. Thank you for your thoughtful comments. You my friend should consider a PGY1 Residency followed by a PGY2 in Pain Management. Best of luck on your upcoming graduation…what college do you attend? massaschusetts welfare department recently came out with guidelines, i believe they used to state 240mg morphine equivalents daily, now they changed it to 180 mg. i’m glad the patients all got better. i hope they told the patient’s they’re better now and need less medication than before. Finding this link in my inbox today seemed fitting so thank you Dr Fudin. If there are no limits to prescribing opioids there sure are when it comes to filling prescriptions for them. First off Dr Murphy I applaud views and actions on behalf of chronically ill patients. Your type, compassionate doctors with a spine, like yourself and Dr Fudin, are becoming a rare breed. True islands of resistance in an ever stronger river of repression against pain relief. A very short qualifier if I may then my ahah moment of incredulity that I had read about but not experienced firsthand. I have been on the same medications at the same dosage w/ same pain clinic for almost 4 yrs. 40mg methadone/ 30 mg hydrocodone for BT pain. (along w/ depomedrol injections=shoulders, Euflexxa=knees, TENS, adjuvants, etc) for MCTD(mixed connective tissue disease) and systemic sarcoidosis (neuro, GI, endocrine, and pulmonary). I fill my Rx from PM at the hospital complex in which it is located and most of my other meds at the our local Publix for convenience, its closer (*hospital is an hr and half away, long story for another time) and we shop there. I had surgery yesterday morning to remove growths from my vocal cords. Not the most complicated or invasive of surgeries but one which I planned for by seeking guidance from my PM doc. This was the first time I could be in need of ‘extra’ medication for any reason and I wanted to be sure everything was done by correctly by the book. I was advised to let my surgeon (different hospital/in town) treat my pain if additional meds were needed. So today being the big day, I was given a ‘huge’ Rx for 30 hydrocodone 5/325 at the hospital and for convenience took them to Publix where I had 3 others (non narcotic) that needed to be filled. Nauseated I was dropped off at home by my sweetheart who is still somewhat niave to the battles that rage in the opioid wars. She came home w/ all but the pain meds. When asked why she said the pharmacist told her since I had hydrocodone filled earller this month I was already at my limit. I was assured I would have no problems filling this Rx by the doctor and nurse as it was for surgery (Medicare Part D). I called and spoke w/ head pharmacist who told me, interestingly, SEVERAL, reasons why my Rx was not filled. 1st answer was that the way the Rx was written would put me over the limit for APAP. 1-2 every 4-6hrs as needed in addition to my 3 x 10/325 would be too much she said. (no attempt to phone physician or hospital to change Rx) 2nd reason was a 60mg limit to the hydrocodone per day!! 3rd reason was insurance wouldn’t approve as I was at limit. My sweetheart was not told she could pay cash and the insurance was NOT called for approval and Rx was not given back to her. I calmly pointed out, w/ formulary book open, that the ‘limit’ for Part D was 360-10/325 Norco per month. That an acetaminophen overdose could easily be avoided by anyone who passed 2nd grade arithmetic; and finally that it was not her decision to make how much pain medication I needed AND that I had consulted with 2 actual DOCTORS and that was THEIR recommendation. Though I did not tell her this should have but I was kinda in shock, that her reasons were preposterous and complete untruths and despite my 2yrs of business in upwards of $10,ooo per year (copays, insurance, and Medicare) at her store, and 5 yrs at Publix pharmacies total, I was being lied to. That is when the REAL reason came out. She said I that with ALL THE PAIN MEDICATION I was taking I couldn’t possibly need any more. Apparently she was not prepared for someone who was informed and sick of games. I intend on taking my business elsewhere and notifying her higher up and store manager that she just cost them one of their best customers. Despite reading stories like this every week or so on this and Pain Tx Topics I was still amazed at how quick a helpful and ‘nice’ pharmacist could turn on a patient over something so trivial when the issue was evil opiates. It wouldn’t have taken much, other than guts, to just tell me or my GF that she didn’t feel ‘comfortable’ or just didn’t wish to fill the Rx. No need for the lies and holding the Rx and the lecture when I called. I am afraid this pharmacist playing doctor isn’t confined to Walgreens and CVS. I am sorry for the long vent and if this is not the appropriate thread please move it where it fits best as I am sure it belongs somewhere. Just thought it was ironic that I received notice today of a real champion like Dr Murphy on a day that my helpful pharmacist turned right before my eyes into an uncaring roadblock to treatment. Thank you for having the courage to stand up for people like ‘Warrior’ and others. HAVE FUN DANCING WARRIOR and hopefully soon too. It is refreshing and gives me hope when I read posts like the one from Soon-to-be-Pharmacist. Update. I took my Rx back, in the cold rain yesterday, to the hospital, the one that Publix said they couldn’t send to because they wouldn’t fill it either. Well somehow, amazingly, hospital filled it w/ in 20 min. Miraculously it even went through insurance as well w/ no phone call necessary and all for a total of $2.50!! I’m still somewhat perplexed at the need for all the lying, least of all from the head pharmacist at a respected grocery/pharmacy chain, just unprofessional.. Its also rather disheartening considering they greet me by name and know my medical history and knew that I was fresh out of surgery. Now comes the fun part of finding a new pharmacy or treading a path several times a month to a very helpful Harvey’s pharmacy that is a 4o min drive, one way. Such is life for those of us who take the devils own medicine. Thanks again Dr Fudin for all you do. I am touched by all of these comments… and energized. Several weeks ago, at the end of a particularly “useful” day I wrote this poem to sum up how i felt. My patients are the heroes. I am blessed to be able to offer what I can. Heather; My clinic is in a federal facility and only includes US Veteran patients at this time. My story is lengthy and I’m not sure where to even begin. I have always been very active from playing ball and coaching two float trips with my children and their friends ziplining one-armed and on the list goes! I have had 40 surgeries in my lifetime and I’m 46 years old! Not hardly a one of them knocked me down! Until coming off my 4th shift around the clock with no sleep comma I held onto a combative patient and then let go tearing both my arms out from the inside! My left within the pectoral area and recovered fine. My right however tore everything in it from ligaments to tendons and almost all the nerves completely severing the Ulna nerve! After tooth surgery to it and still having the use of three fingers, I knew I could no longer do my job! I went back to school for law to become an advocate other veterans and those that couldn’t advocate for themselves. Upon graduating early I let them do one more surgery I’ll let them do one more surgery I left them do one more surgery I let them be one more surgery I let them do 1 more surgery. It was to dunk the other nerve and open blood flow to the hand and arm. This was done in a large teaching Hospital. There were to be no other procedures! My long-time orthopedic had left the room . Young plastic surgeon had decided on her own to web the only surviving nerve nine times! I came out of surgery 7 hours later with my arm that fell on fire with my arms that fell on fire with my arm that sell on fire with my arm that felt on fire and no more use of my hand and no more use of my hands in no more use of my hand and no more use out of my hand in no more use of my hands! It only got worse over the years. This was the first trauma! The second occurred just two years later. I had spent years of my life training and riding horses. I have always had such a great love for them! My son had gotten me a retired racehorse and I had decided to train him for special needs/ handicap children and adults. I never felt the burning pain never felt the burning pain he never felt the burning pain you never felt the burning pain while I was on him. It was after I had gotten off. I built a special saddle and trained him with my legs and voice command. One cold evening this last year, I said Rider on in the arena, they paid no attention and fired up the tractor. It backfired three times! By the third time he had become out of control flayling his body out of control. I was unable to bail. The last thing I remember was our heads colliding. I was out cold! My face and skull were completely crushed along with many other parts of my body! I was trauma from one hospital to another where I fell through the cracks and was released 2 days later still broken up, hemmorging, frontal lobe damage and much more. I have been trying to advocate for myself ever since both accidents! IT HAS BEEN AWFUL! I I took me six months just to prove both my hips were torn. My husband not thinking, he said, transfered us to Nashville TN. Where I have not been able to get any help AT ALL! The increible pain is debilitating. I HAVE NO LIFE ANYMORE! I would love to advocate and fight with you! Can you please help me live again so I too can fight I am a medical veteran! Thank you kindly for your work and compassion for others! Most all people that suffer from chronic pain have been told one thing or another about how much pain medication a Pain Specialist can prescribe .A lot of the doctors are telling their patients they cant go over a certain amount of opioid medications and that’s their own rules not the true rules and regulations of the amount a Pain Specialist familiar with prescribing is able to prescribe. People that suffer from chronic pain have not been told the truth and pain sufferers are at the mercy of the prescribing doctor. For some time chronic pain sufferers have difficulty in obtaining opioids to pressures on physicians from risk-averse state medical boards. The first 10 years I suffered from severe chronic pain the only thing doctors would prescribe was hydrocodone and we all know the dangers of too much acetaminophen. I think back when my chronic pain first began in 1995 and all that I went through it was almost like I was being held hostage in my own body stricken with chronic pain. When I finally found a doctor willing to work with me he slowly titrated me up a level of relief using a time released opioid. I will never forget the look on his face at my first appointment when he read my MRI radiology report and asked what have I been taking for the chronic pain, to that I said hydrocodone. He seemed surprised yet willing to help. That was 18 years ago and till this day my chronic pain has been well controlled. You must find a kind compassionate doctor willing to help and make darn sure your willing to stand up and fight for your doctor, after all they give us our life back. So yes I’m willing and strong enough to climb over the barriers created by certain regulations. I completely understand the trials of being on Hydrocodone for so long…..they first put it on it in 2003 when I got hurt, had surgery in 2005 (which failed) and yet I am STILL on Hydrocodone to this day in 2014…..So go figure, I actually had a wonderful doctor in a pain clinic in Hazard KY but due to the ridiculous restrictions of “pill counts” and me not being able to get to the doc office within 2 hours at a moments notice I got discharged …keep in mind that it took me an hour and a half just to get to the doc office, we were in the middle of the big snow storm debacle of 2010 where all electricity was off in the area, my kids were both home from school, we all had the flu, ,my hubby was at work with our 1 and only vehicle…..so I was supposed to get my hubby called out from underground (he was a coal miner) just to come home to get me after I found a babysitter for our 2 kids, then get them and myself ready to go within 30 minutes of receiving this phone call…..Yeah, couldn’t happen, it took at least 20 minutes for them to get my husband out from underground because they were so far under the mountain plus it may have cost him his job to be able to leave to take his wife the vehicle, then I would have had to drive the kids to the babysitter (another 15-20 min) so there was absolutely no way I could make it….so because of all that I lost the best doctor I have EVER had. I cried for days over losing her as a doctor, I did get to talk to her and she was just as upset as I was but there wasn’t anything she could do about it. SO that who mess is another reason why this Pill Mill Bill needs fought against, if nothing else it need some real strong amendments to it, especially in the department of “pill counts” because now it is a regulation that even if you are not home when they call that it counts as a “miss” and will be held against you or even be cause for you to be discharged. This is the most biased bill I have ever seen, clearly us Pain Patients are paying a much more severe price than we should be in their need to control overdoses. Thank you for sharing this encouraging blog by Dr Murphy. What a true physician he is and one I will never forget. After 20 years of misdiagnosis, Dr Bloom came into my life. Despite my terminal diagnosis, his care as a pain management specialist has eased my pain and increased my time on this planet. Compassion and Care should always go hand in hand between doctors and patients, and I’ve nearly forgotten the cowardice of former pain doctors who kicked me to the curb because of my chronic pain status. Dr. Murphy warms my heart! So does his Warrior friend. I can’t help but be blown away by your reaction to meeting me. But, I must say, meeting you has had a very profound effect on me as well. I thought all hope was lost for me to ever live a normal life again. But now I know that after my upcoming dual surgery, that will not completely resolve my pain, I will still have hope that you may find a way to help me so that I might actually get out of this chair and live a productive life again. I told my precious husband that when I am healed and with at least 50% less pain……that the first thing he is going to do is take me dancing!!! I can’t wait!!! I want to dance and go for long walks with my puppy and go shopping with my BFF and just everything that I have been missing out on for years! And now I have hope, for the first time, that all of these things may be possible because of my new sweet doctor friend who is not afraid to look for ways to treat someone in pain that everyone else has given up on! You are simply AWESOME Dr. M !!! And I am so glad to call you “friend”. That was a heartwarming response to say the least, “Warrior”. Thank you for sharing, kudos to Dr. Murphy, and best of luck to you! I am so happy for you, I wish we all would be able to find a doctor as willing to help us as you have! Also, I hope you enjoy that first dance as if it were your first dance ever!! Dance the night away my dear and best of luck to you!! Thank you for sharing! The issue is that the worse off one is, the less likely they will “climb over the barriers.” The people who don’t need opioids are best at climbing over barriers. The barriers often screen out the people who need opioids most. Thank you for fighting the good fight for patients! I enjoyed the blog post. There is certainly a lot of confusion about what is allowed where and what the conditions are. Some of the states that place these arbitrary restrictions requiring mandatory consultation seem to have some odd views on who should qualify to consult. Palliative Medicine fellowship + board certification doesn’t seem to cut it. What a relief to know there are still compassionate, caring physicians out there. I’m in tears reading. I don’t know how most providers sleep @ night knowing many of their patient s are awake, unable to sleep due to uncontrolled pain! God bless you in you efforts to reach & teach others. You said that no state has yet put a limit on what a doctor can prescribe for pain but I have been told by multiple doctors that they aren’t allowed to write a certain amount of narcotics or scheduled medications, as a matter of fact I was told by one doctor that I had to choose between my pain medication or my psych medication for my ADHD and Bi-Polar because the medication which worked for me was a schedule II drug ( I believe it was schedule II) But regardless, they told me they weren’t allowed to write all of them so I had to choose which ones to take. That is not fair by any means, maybe your OPIOD program will help but I am not sure it will do much good in the state of Kentucky because they keep pushing for more and more legislation against pain medications. Dr. Murphy speaks of having hope once he saw it in his new found friend’s eyes. Hearing this from a pain doctor, in turn, gives me hope. I have, until recently, been seen by the same doctor for nearly thirty years. That ended when Kentucky enacted their now famous “Pill Mill Bill” a couple of years ago. Everything changed as I was informed my doctor’s office would no longer give prescriptions for narcotics of any kind for any reason. After taking matters into my own hands, going cold turkey off of Oxycontin, and being “humanely” weaned from all other pain and sleeping meds, I found out just how bad I really felt. I kept thinking I was suffering through typical withdrawal symptoms from the physical dependence developed from long-term opioid use. One year later, still suffering a multitude of problems, I knew this was not withdrawal, so I sought out help from a total of three different doctors, before, on the third attempt, I found some help. I wasn’t looking for opioids, but it turns out, when I ceased taking them, I discovered I had several conditions which required me to take them if I were to have any quality of life (any life, actually). I was feeling like I would probably sit on my couch and die because that’s all I felt I could do. Nobody could cure any of my issues, there were barely any treatments. It seemed nobody cared. But now, thanks to caring doctors like Dr. Murphy, I am feeling better, and yes, even I have hope. I’m sorry if I offended you Kim, I am happy for you and I do understand now what you are saying about “seeing hope” I just hope and pray that more doctors follow suit and start paying attention to their patients. No offense taken, Charity. Not everyone has a Dr. Murphy. I had more than two years of misery before finding anyone to help me. I’m still not dancing in the streets, but considering where I was, I can truthfully say I no longer contemplate jumping out a window to stop the pain. Wishing you find someone to restore some hope for you.